AlphaNinja - A reduction in guidance, as well as some interesting financing for CB Richard Ellis (CBG). 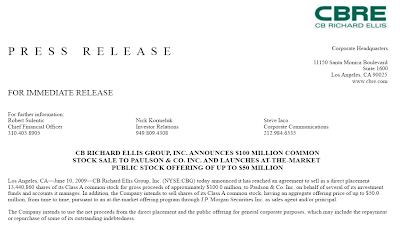 After guiding down a little bit, CB Richard Ellis announced that they's sold 13.4million shares to Paulson & Co. for $100million. 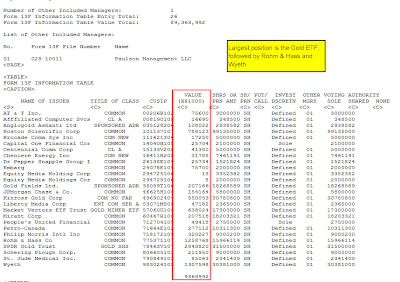 Quick math looks like that was a price of $7.44 per share, giving Paulson an immediate gain of $26million based upon the current stock price, +15% to 9.39. 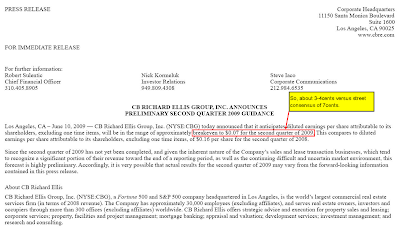 CBG will also issue $400million of senior subordinated debt due 2017. 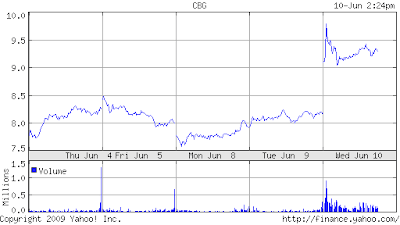 You wonder if CBG sees (more) clouds on the horizon, and is opportunistically raising funds ahead of it. Kudos to the company, these announcements appear to be pretty shareholder friendly.